The product will come back with a new name. Fenty Beauty recently announced a rollout of new makeup to be had since introducing three new Killawatt highlight shades: Afternoon Snack/Mo’ Huny, #PENNY4UTHOTS, and Geisha Chic. The last of the latter is what sparked fans to call out Rihanna's cosmetics company, detailing how 'Geisha Chic' is offensive. "Rihanna was really about to bring out a blush called geisha chic 😐 thank god people noticed how gross that was and fenty delayed the launch to rename it. 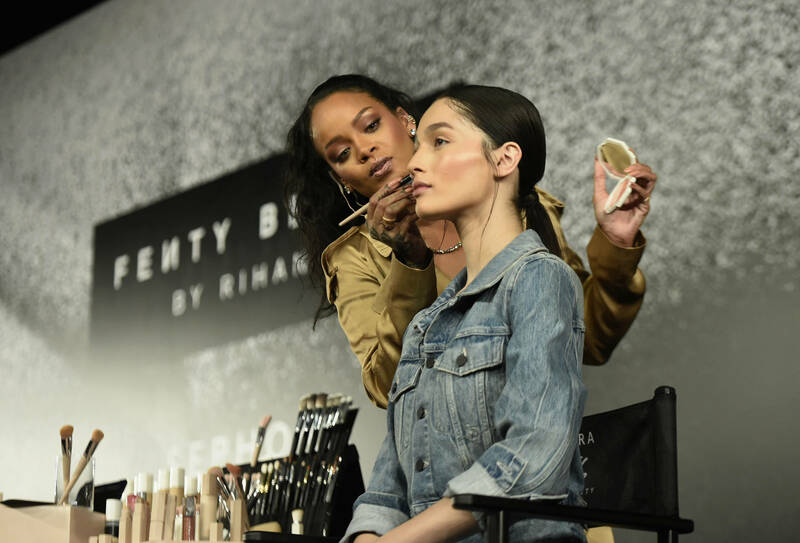 Really weird how the entire fenty beauty team didn't catch how inappropriate that name is from the start," one user wrote on Twitter. A Reddit user took it upon herself to DM Fenty Beauty to make them aware that using the name "Geisha Chic" is much more than just a name for a highlighter, since it ignores the history and overall experience of being a geisha. Fenty responded to the user, detailing how the product has been pulled and will be available once again after they rename it. “We hear you, we’ve pulled the product until it can be renamed. We wanted to personally apologize. Thank you so much for educating us," a Fenty Beauty correspondent wrote.